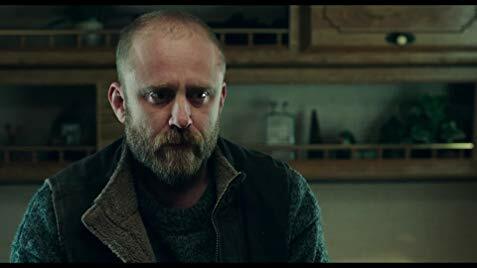 Such a simple question is all it takes to send Ben Foster into an emotional tailspin in writer-director Debra Granik’s wonderfully introspective new movie Leave No Trace. 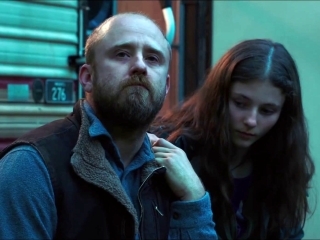 Foster plays Will, a PTSD-suffering Iraq War veteran who repeatedly attempts to live off the grid with his loyal thirteen-year-old daughter Tom (newcomer Thomasin McKenzie). When the pair are discovered living on state-owned parkland, they undergo a journey from one temporary home to another. Their first step is in a state social services’ office, where Will is forced to answers a series of automated questions to measure his mental and emotional capacity. The state, after all, has to determine if he is a fit guardian for Tom (the mother’s absence is never explained). Going from living off the land in the Oregon woods to saying “true” or “false” into a microphone in response to a computer’s questions, such as “Do you struggle to sleep or experience nightmares?” or “Do you consider yourself to be a team player?” is just about more than he can take. He retreats into himself emotionally and makes a show of going along with all of the state’s requirements until he can get to a point where they’re finally not looking anymore and he and Tom can retreat back into the woods. What he doesn’t account for, however, is what being exposed to a life of relative normalcy will do to Tom. Thus the central emotional conflict of Leave No Trace. Will views himself as being too broken to be fixed, and he’s raised his daughter according to his need to escape from society. However, what happens when Tom is finally old enough to realize she’s not broken the same way her father is? The source material behind all of this is My Abandonment, a 2010 book from a Yale-educated, Oregon college professor named Peter Rock. Ironically, 2010 is also the last time anyone in the film world heard from Granik, who exploded onto the scene that year with Jennifer Lawrence’s breakout indie Winter’s Bone but then disappeared into commercial work, development hell on multiple projects, and a documentary which is still in production. She co-wrote the Leave No Trace script with her producing partner Anne Rosellini, and the pair treat the story’s central conflict with considerable empathy, offering Will and Tom one seemingly suitable living condition after another in the hopes that something will finally stick. 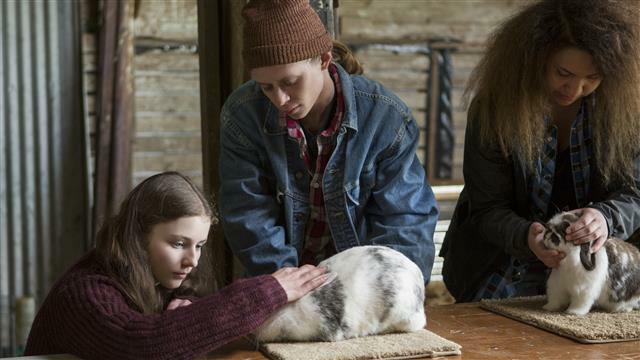 The story has superficial similarities to recent families-off-the-grid films like Captain Fantastic and The Glass Castle and, if you really want to stretch it and reach further back, Into the Wild, but is decidedly quieter and more humanistic in its approach. This is a purposefully small, quiet movie about a father and his daughter making their way through the lush woods of Oregon and Washington, their seemingly unshakable bond put to the test by the creeping realization that no escape might ever be enough for Will. That Will’s underlying condition, PTSD, is such a pressing mental health concern is never emphasized. It’s barely even addressed, acknowledged mostly in the form of one scene in which Will buys pain pills from a fellow homeless soldier who complains about the VA getting them hooked on the stuff and then cutting off their supply. However, this is a very real concern at that moment. The VA is currently caught in a tug-of-war between the Trump administration, which wants to privatize veterans’ healthcare, and veterans organizations, which would simply prefer that the current government systems undergo improvements. Foster and Thomasin McKenzie lend a human face to this trend and deliver often heartbreaking work. Foster is as devastatingly restrained here as he was enjoyably over-the-top in Hell or High Water, and McKenzie, who carries much of the dialogue since Will is a decidedly taciturn character, makes the simple sight of a 13-year-old encountering 4-H clubs for the first time feel like the soul-nourishing discovery of a lifetime. Their collective work demands to be appreciated. How To See It: Unfortunately, as of this writing Leave No Trace left nary a trace at the box office and is quickly disappearing from theaters, down to just 169 total theaters this past weekend. However, look for it to end up on a lot of end-of-the-year Top 10 lists. By then, it should be out on home video. See it then. Heck, if you have a chance to do so see it now. Previous Entry Ant-Man and the Wasp is Finally Hitting Key International Markets. How’s That Working Out So Far?